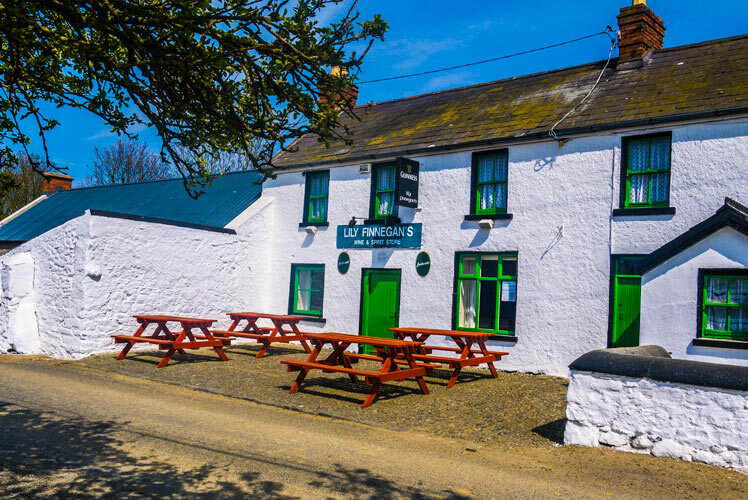 Lily Finnegans is a traditional old style pub situated close to the coastline and just 5 kilometres from the village of Carlingford. Hidden deep in the Cooley peninsula, this little gem hasn’t lost any of its authenticity over the years, from the old flagstone floor to the layers upon layers of paint on the ceiling this pub is the only pub in the Cooley peninsula which can truly say it has been untouched by all the recent building boom and retains all of its genuine untouched old world features. A beautiful open fire lights the whole bar up and for the many who enjoy the beautiful walk or cycle around the coast it is a welcoming sight indeed at the end of their travels. The pub consists of a bar, the snug, pool room and outdoor smoking area. The snug is another wonderful little room at the back of the pub and can seat up to 20 people and also has its own open fire. 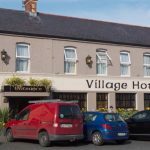 There is also a fabulous 90″ High Definiton Big Screen in the Bar for all the major sporting events such as Football, Rugby and GAA. But as we all know, they key to a traditional Irish bar is chat and as soon as any sporting match is over the screen goes up and background music turned on and everyone can then truly enjoy the unique atmosphere in this special little pub.There is live music every Saturday night and on Sundays on Bank Holiday weekends and includes a wide variety of performers and musicians, from Irish to Country to Rock ‘n’ Roll, each week provides you with a different act. Saturday, Sunday and Bank Holidays: 2pm. I consent to Carlingford & Cooley Peninsula collecting my details through this form.